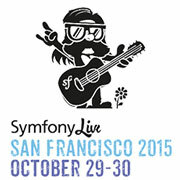 North American SymfonyLive conference will be held in San Francisco from October 27th to 30th. Pre-conference workshop days on October 27th and 28th, Conference days on October 29th and 30th. Come meet the Blackfire team and discover the latest Blackfire.io features, and what they can do for you. The international Symfony conference, SymfonyCon will be held in Paris from December 1st to 5th. Pre-conference workshop days will be organized on December 1st and 2nd, Conference days on December 3rd and 4th and the Hackday on December 5th. SensioLabs is a proud Gold sponsor of this year’s PHPBenelux conference, next January 29th-30th. If you’re attending the conference, come meet us to our booth to say hi or ask any questions you may have about SensioLabs, our services and products, and get our latest goodies! Plus, you’ll be able to win our super cool SensioLabs gifts by participating in our special game. Come to our booth to play and try to get your gift!